The cathedral was designed by American architect, James Renwick Jr. and construction of the cathedral began in 1858. Twenty-one years later it opened up in the Spring of 1879. It has two spires which are 330 feet high and the cathedral takes up an entire city block. 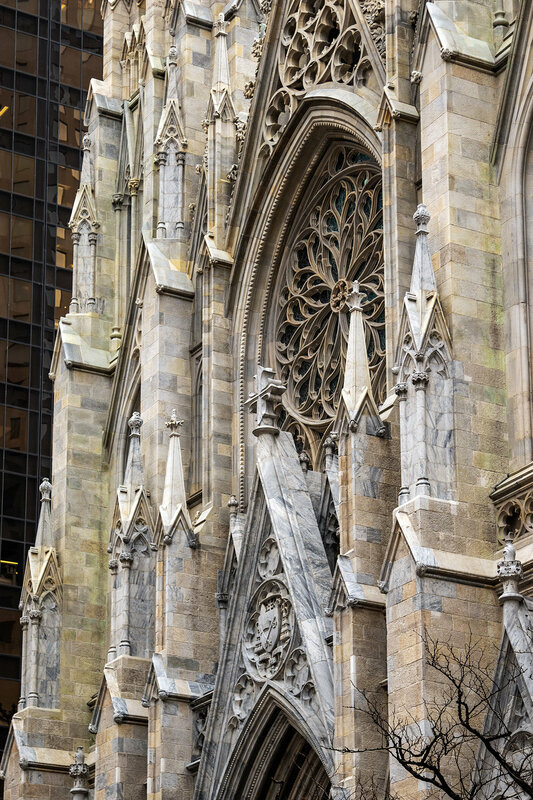 Due to the large amount of Irish immigrants in New York, the cathedral was named in honor of the patron saint of Ireland, Saint Patrick. 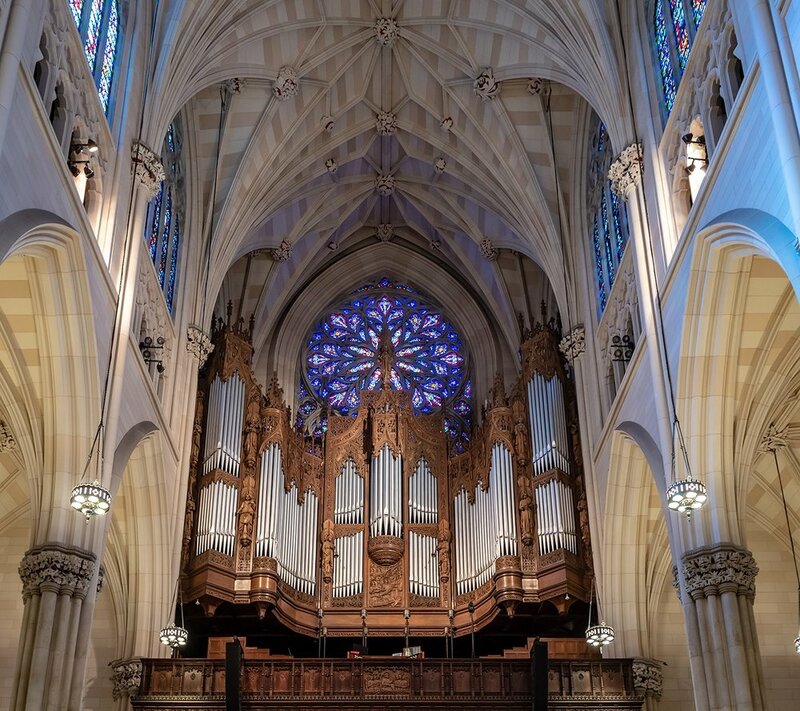 During my recent trip to New York City I finally got to go inside the St. Patrick's Cathedral. I had stopped by quite a few times in the past, but I had never actually gone in. Looking at it from the outside, I never would have guessed how massive this church actually is. So I was really surprised when I walked in and saw how big it was. It is a gorgeous cathedral, filled with beautiful sculptures and paintings. I was amazed to see how much intricate detailed work was put into both the exterior and interior of the cathedral. Pretty amazing! So even if you aren't very religious, I think this is a New York City landmark that can’t be missed and in my opinion it is worth the visit! Plus it’s free to get in! Before you go, I would recommend checking out the mass schedule and plan your visit in between the masses so you can walk through all the areas of the church. They also have public and guided tours, so if that’s something you like to do you can get more info here. Below are some photos and a video I made when I was there. Check them out.